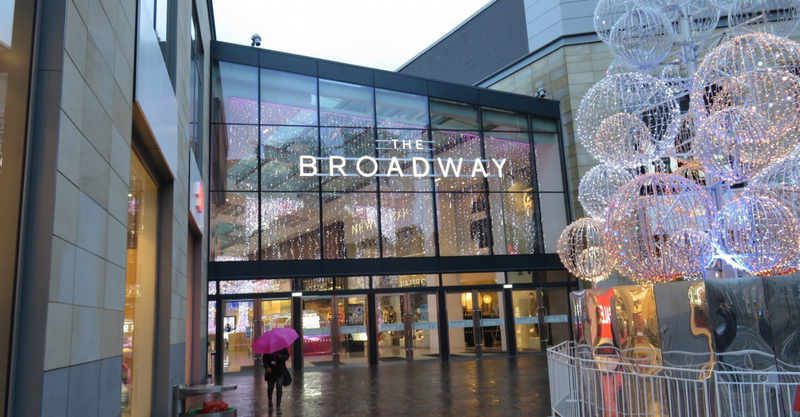 Britain’s newest shopping centre, the long awaited Broadway in the centre of Bradford, is showcasing some of the latest fire-rated glazing systems supplied by Brighouse-based Arkoni Metalwork. The £260 million Broadway, opened in early November 2015, comprises of seventy eateries and shops, including the likes of M&S and Debenhams, as well as a multi-story car park facility. Developed by shopping centre specialists Westfield, the eye-catching, encapsulated building was designed by Westfield’s in-house team with HCD as lead architect. Arkoni, a fast growing metalworking business, founded in 1991 and currently employing 60 staff, has supplied, manufactured and installed a range of fire-rated and non-fire-rated door sets leading from the multi-storey car park to the stairs. Installation took place over a month long period in the early autumn. Mark Prentice, founder and MD of Arkoni, commented “Safety is always critical but especially so when you’re dealing with a venue that will be having thousands of people passing through it every day. “The fire-rated glazed door sets will provide protection from a spreading fire for 60 minutes, providing plenty of time for an escape and their construction is of the highest quality. “This is the highest spec fire-rated glazing available and we are seeing an increasing number of orders from many prestigious projects around the UK,” added Mark. Arkoni were also involved in the supply and installation of steel curtain walling systems and anodised aluminium removable shopping mall pilaster covers around the venue with the total project value coming in at £225,000.